Tri Mountain Polyester Shirt - 108 Tenacity [108 Tenacity] - $19.95 : Sogowear Outfitters!, Polo Shirts, Golf Shirts, Jackets, Fashion Fleece, Woven Shirts and More! The 108 Tenacity is a 7.7 oz. 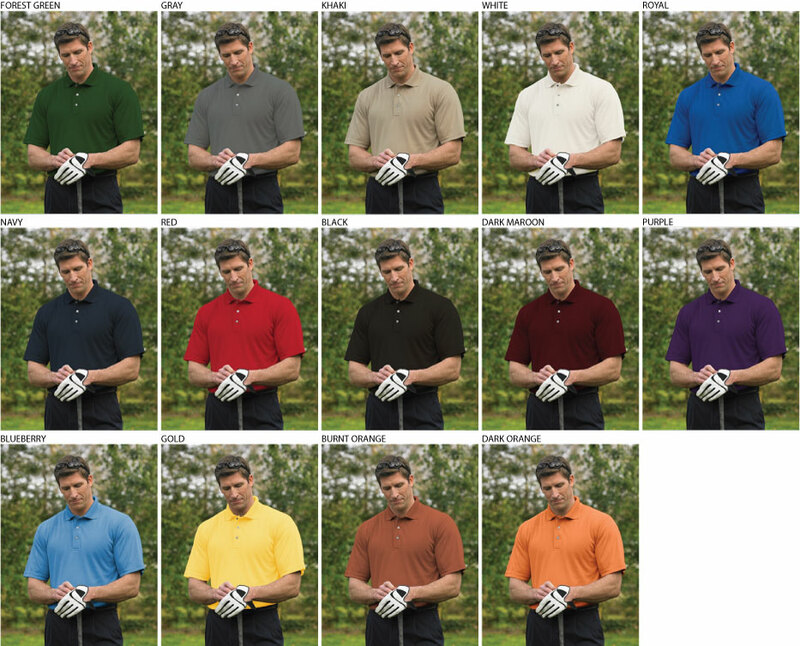 100% spun polyester micro-mesh golf shirt. Features the UltraCool ® system, developed to control and manage perspiration. Accented with a three-button placket, half-moon yoke back, and square bottom with side vents. Open cuffs. Includes six new colors in Dark Maroon, Purple, Blueberry, Gold, Burnt Orange and Dark Orange. S, M, L, XL, 2XL, 3XL, 4XL (Available in all colors). 5XL, 6XL, LT, XLT, 2XLT, 3XLT, 4XLT, 5XLT, 6XLT (Available in marked colors only). Forest Green, Gray, Khaki, White, Royal, Navy, Red, Black, Dark Maroon, Purple, Blueberry, Gold, Burnt Orange, Dark Orange. The 108 Tenacity is a matching style to the women's 104.